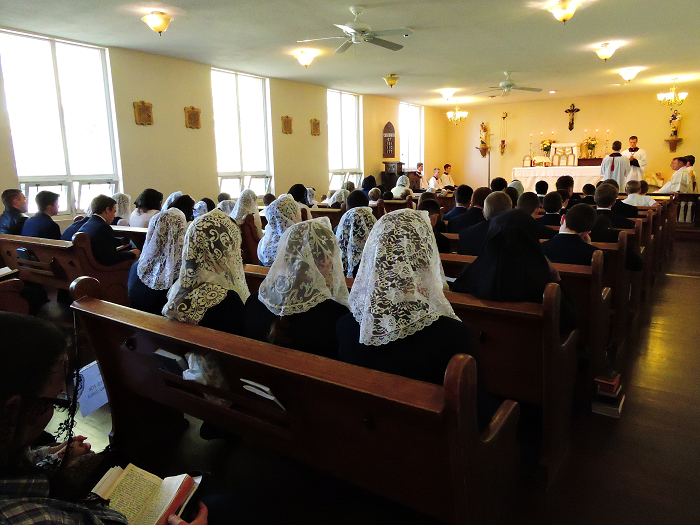 The Holy Mass is the heart of the Catholic Faith and also of life at Our Lady of Mount Carmel Academy. To this end, our children attend Mass in the school chapel four days per week. They are taught to love the Mass and Liturgy and to know that all grace flows from it both to their school day and every day. These are the usual Mass times throughout the school year. They may change, however, especially over summer and school breaks, so please see our latest church newsletter with the exact Mass times for each day. 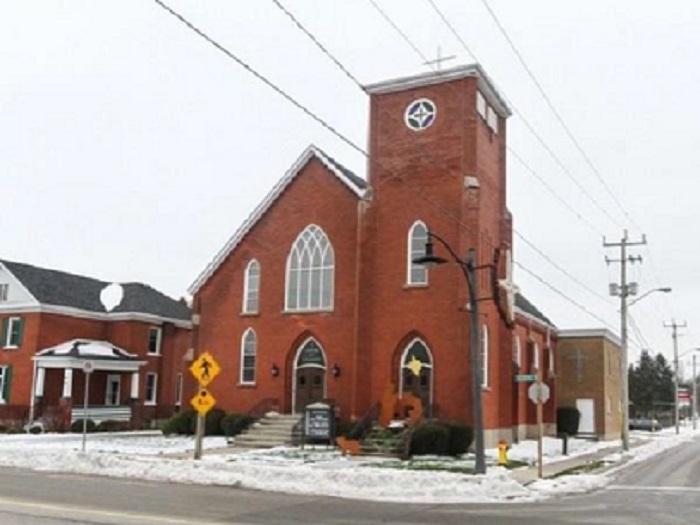 Located in downtown New Hamburg, the new church is only 7.6 km from the school. Rev. 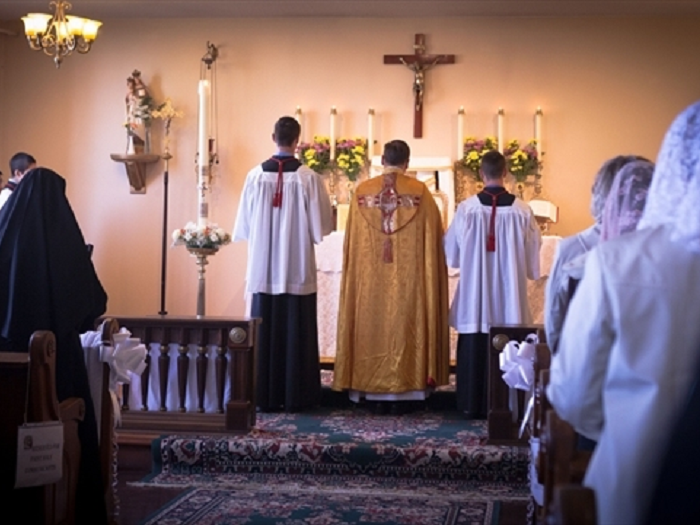 Dominic May, centre, prays at the altar before mass and a First Communion at Our Lady of Mount Carmel Catholic Church in New Hamburg on Sunday, April 19. 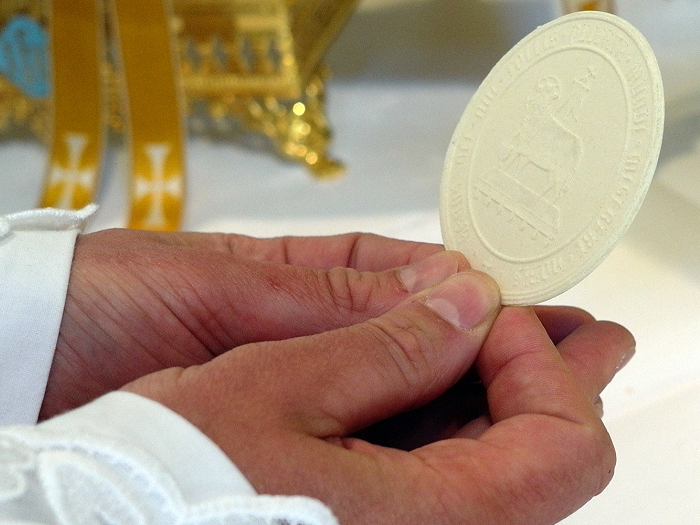 The mass is conducted in Latin and with the priest's back to the congregation, as was traditional in the church before the Second Vatican Council of the early 1960s.